Pam Dawling wrote Sustainable Market Farming: Intensive Vegetable Production on a Few Acres, published in 2013. Her second book, The Year-Round Hoophouse, will be published in November 2018. She has been an avid vegetable grower all her adult life. For 22 years, Dawling has been farm manager for Twin Oaks Community in central Virginia, growing vegetables and training the 100 members in sustainable vegetable production. 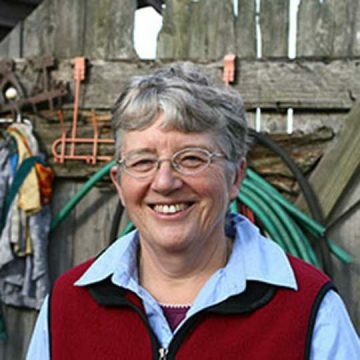 A contributing editor to Growing for Market magazine, Dawling has written articles and information sheets for various biological farming publications. She is a popular speaker on growing vegetables sustainably, presenting at multiple festivals and sustainable agriculture events each year. Dawling writes a weekly blog and also consults for new and beginning farmers.